Do you like to save money? I’m sure you do! I always feel so good when I can snag a bargain. Today I want to introduce my fellow Canadian readers and friends to a brand new site where you can find awesome deals on home, fashion and kids items! My Outlet Store brings the clearance racks to your home with just a click of the mouse. 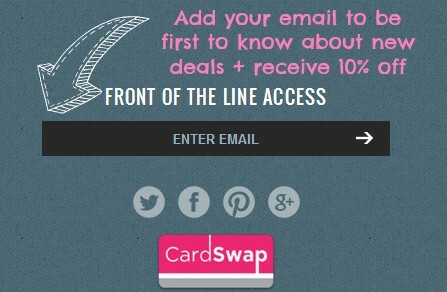 They are a member of the CardSwap family which have been helping millions of Canadians save money since 2009. 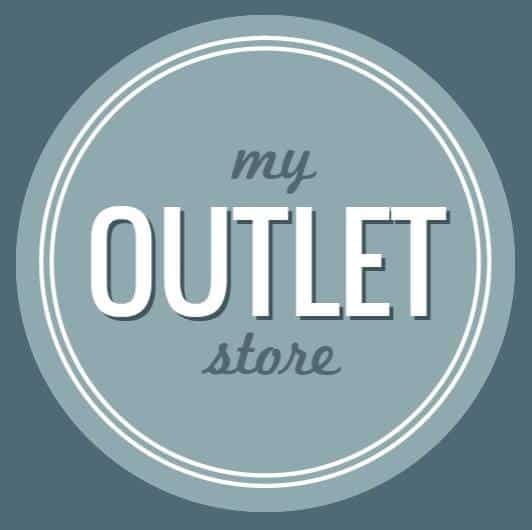 My Outlet Store has partnered with leading retailers to offer exclusive limited time offers on items that the big box stores have over purchased. 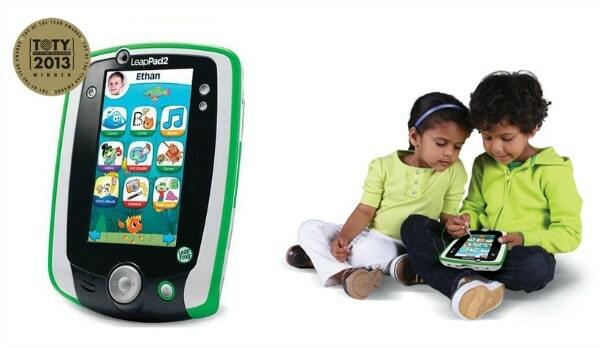 You’ll discover some some pretty sweet deals on a variety of brand name products. The only catch is that you have to act fast since these unbeatable prices are only available for a limited time! Products go up and down each week and you’ll see a timer on each product to help you know what is available and how much longer you have to purchase it. See what I mean about huge savings? If you want to get a headstart on Christmas shopping this year, make sure you check out the deals offered on My Outlet Store. Want front of the line access? If you enter your email into the area at the bottom of their site, you’ll be notified about any new deals posted a day before they are available to the general public. Plus, you’ll also receive a 10% discount just for being subscriber. Easy-peasy! My advice is if you see something you want or need or want to buy as a gift, snag it now! My Outlet Store out-prices large retailers like the ones mentioned above and they have yet to be beaten! I wanted to test out the site to see how easy it was to use. I was very pleased to see how simple it was to place an order. My daughter’s 10th birthday is coming up in October so I wanted to pick her up a couple things to use as gifts. 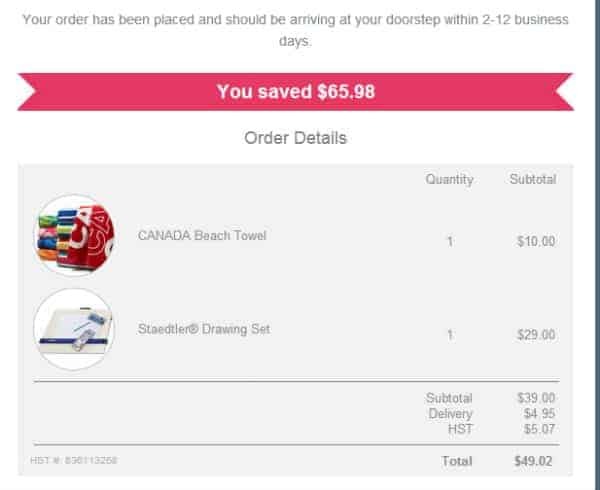 I bought her a Staedtler Drawing Set for $29 (regular price is $79) and a CANADA Beach Towel for $10 (regular price is $24.99). 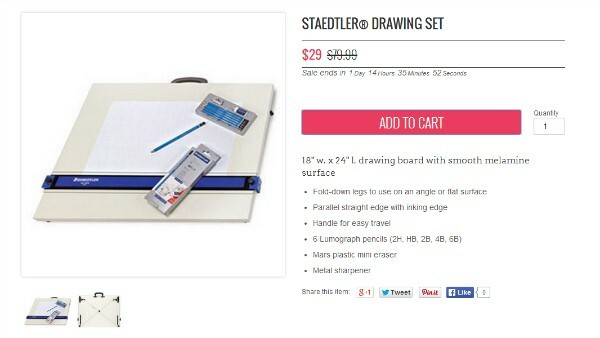 Bridget is quite the little artist so I thought the drawing set would be perfect. You can’t go wrong on that price either! The beach towel is for her to take with her to swimming lessons. Another cool thing about My Outlet Store is that even their shipping is a good price! In Canada, we are used to paying high shipping costs (ugh). Shipping on orders $75 and under on My Outlet Store is only $4.95 and FREE on orders $75+. Because they operate like a clearance outlet, they do not accept refunds and quantities are limited. I would like the X Collection Floor lamp. I need to buy a new winter coat so I would purchase the COLUMBIA¨ SPORTSWEAR COMPANY WOMEN’S ‘OUTER WEST’ 3-IN-1 PARKA! I would love to get a couple of the SERTA¨ SYNTHETIC-FILL PILLOWS! The Kamik Boys winter boots for my older boy. I’d like the KitchenAid® Architect Professional 600 Series Stand Mixer for my mom. Id like to buy the towels. I would love to buy the KitchenAid® Architect Professional 600™ Series Stand Mixer! I really like the Nike® Women’s ‘Downshifter 5’ Running Shoe! I would like to get the KitchenAid® Architect Professional 600 Series Stand Mixer. KitchenAid® Architect Professional 600 Series Stand Mixer, would be wicked. I’d love to get the phil&teds Lobster High Chair (Red or Black). A new bathroom shelving unit!! The KitchenAid® Architect Professional 600 Series Stand Mixer would be AMAZING! Likely Nike shoes, I need some new ones. It is only today that you have an outlet store. I’ll definitely be checking this out for som great barggons (bargains). Thank you. This supercedes my last message. It is only today that I discovered that you have your own outlet store. I will definitely be checking this out for some great bargains.